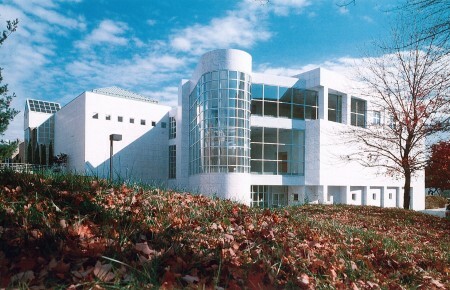 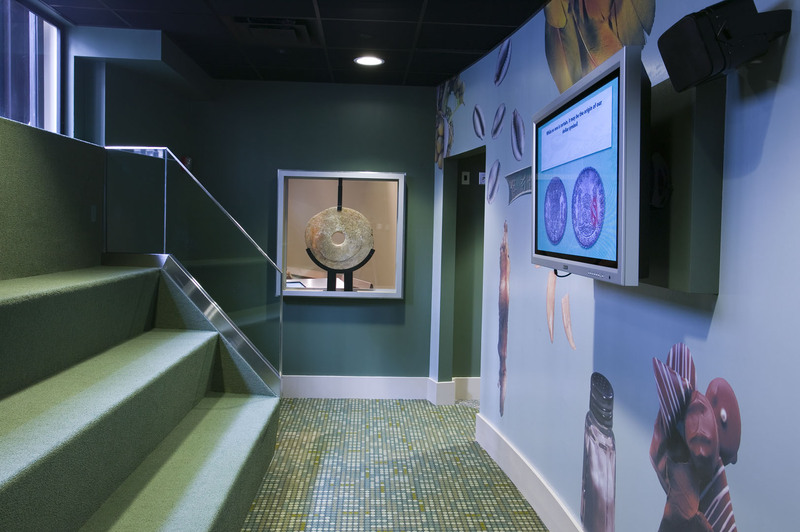 Learning Center & Money Museum | BSHM Architects, Inc. 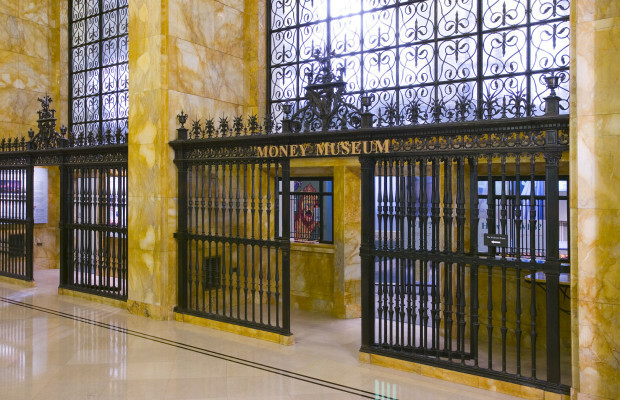 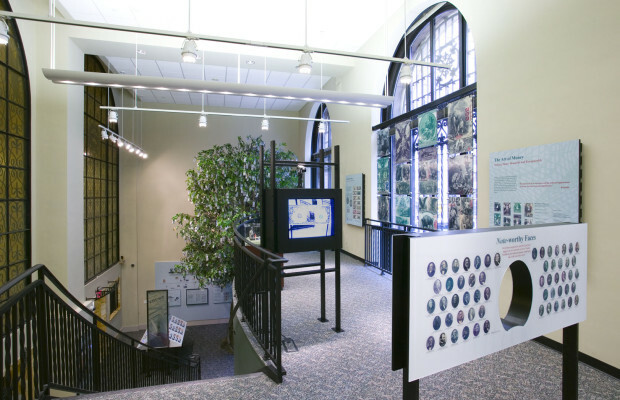 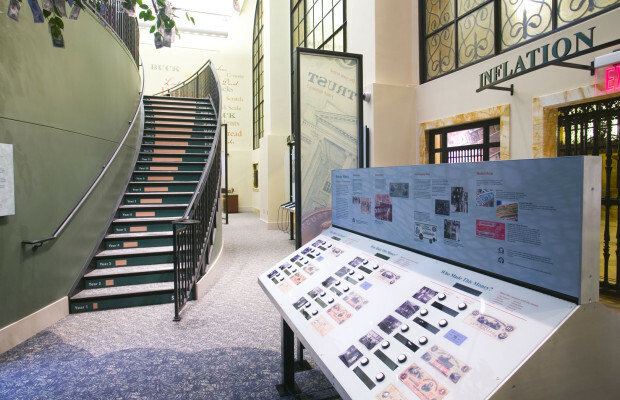 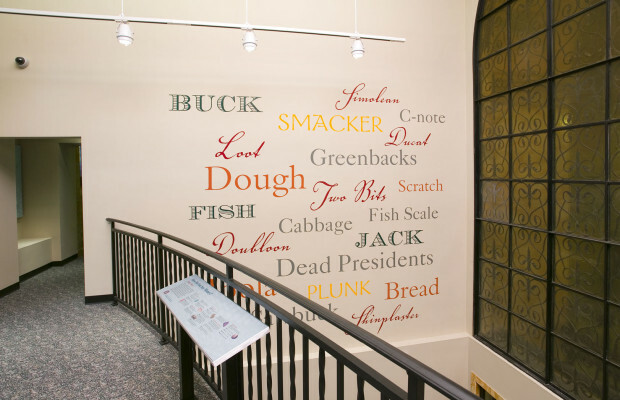 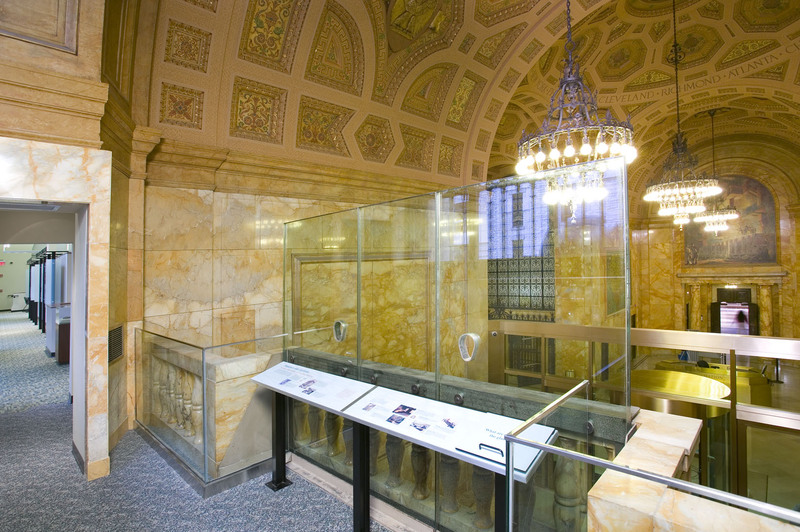 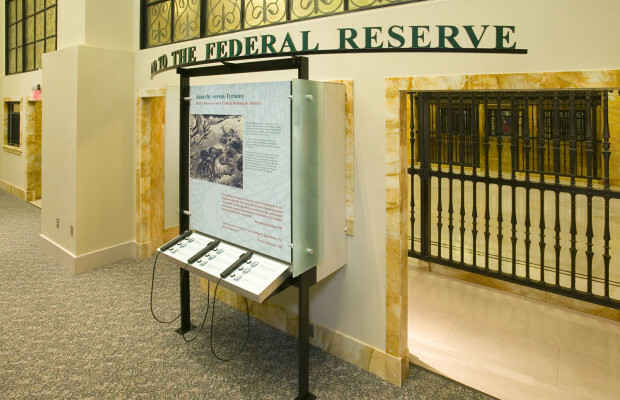 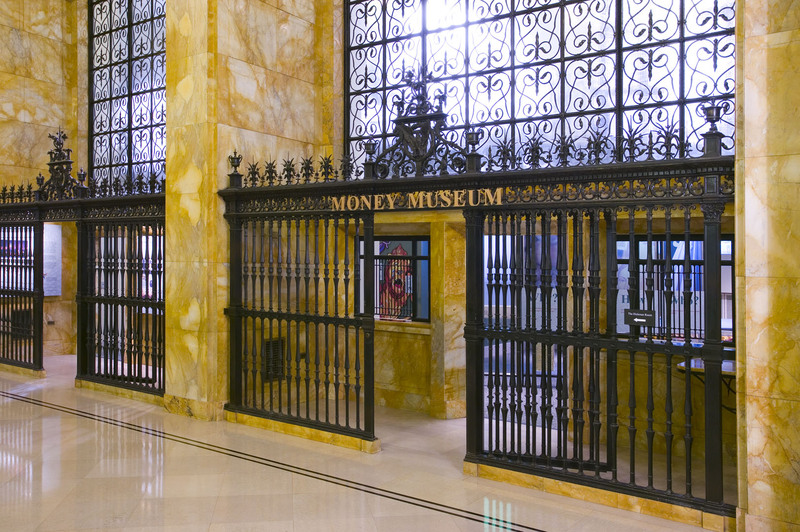 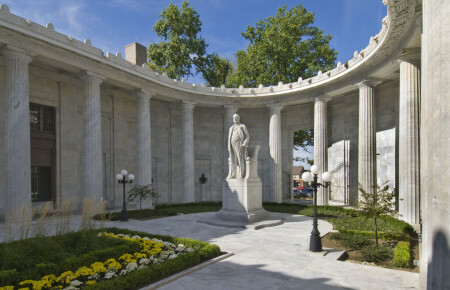 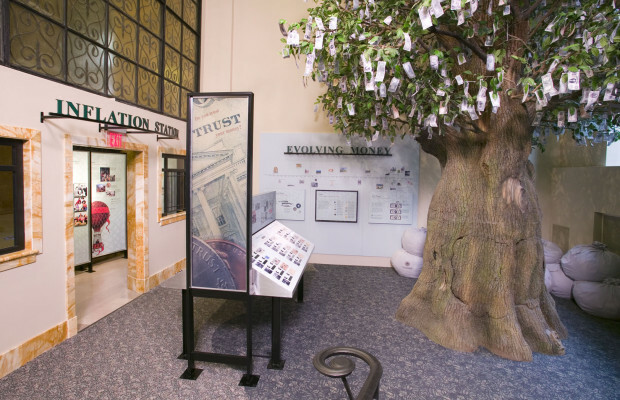 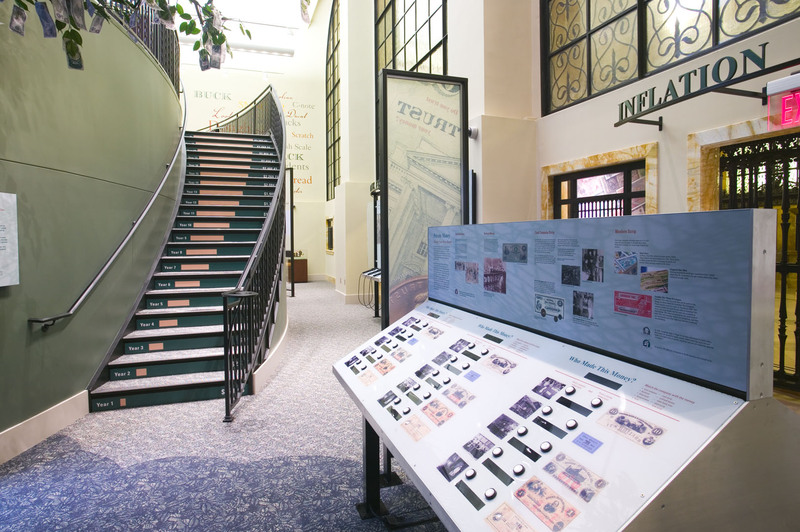 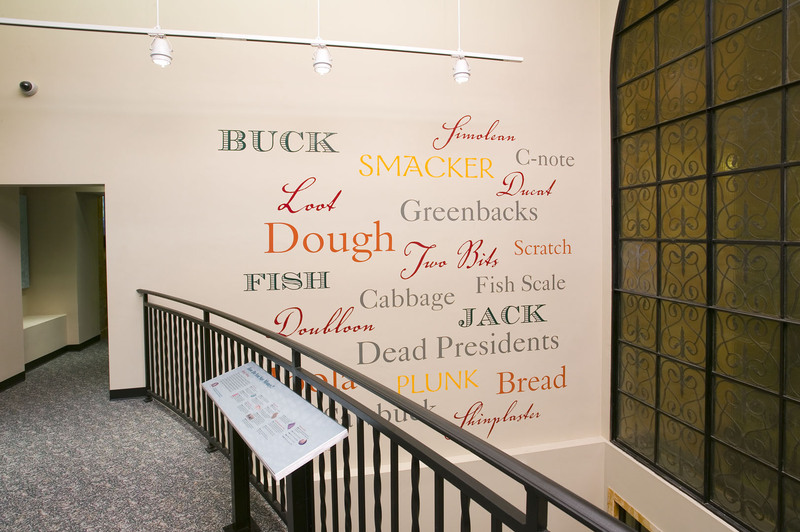 This large national bank in Cleveland wished to construct a Learning Center and Money Museum to be used primarily as an educational service for local school children. 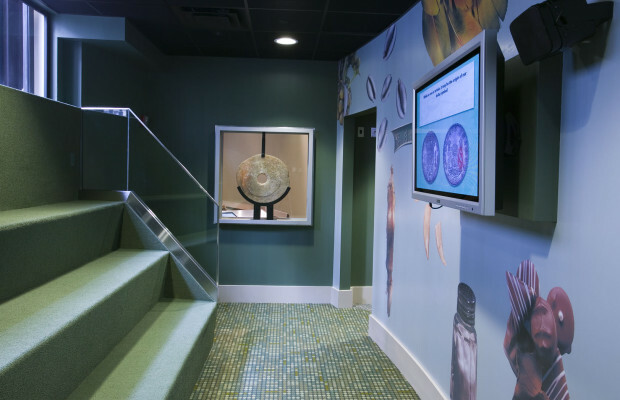 They also wanted exhibits that would have an intellectual level high enough to engage adults. 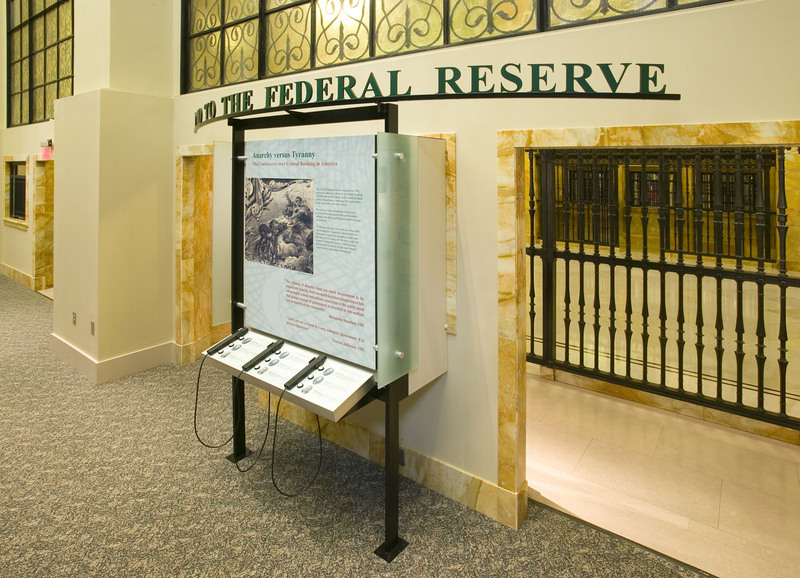 The solution inserted a partial mezzanine into two existing vacant teller areas adjacent to the old banking lobby, and linking the spaces via an upper level “bridge” created by adapting an old elevated guard platform situated above the lobby entrance. 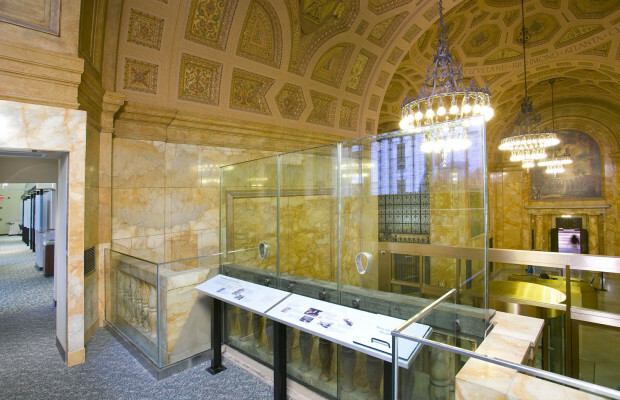 Care was taken to make the renovations match the ornate bank interior. Exhibits include an interactive “barter island” a 25 foot tall money tree and an enclosed “immersion theater”. 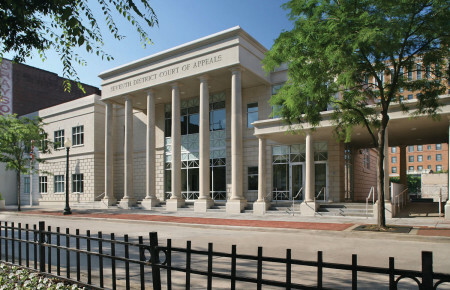 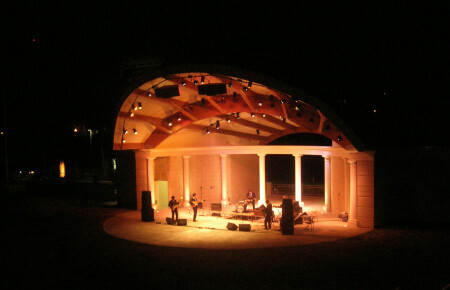 Project delivery was through a design/build with architect as lead.